Clever Dripper works in a similar way to your French Press or Cafetiere. 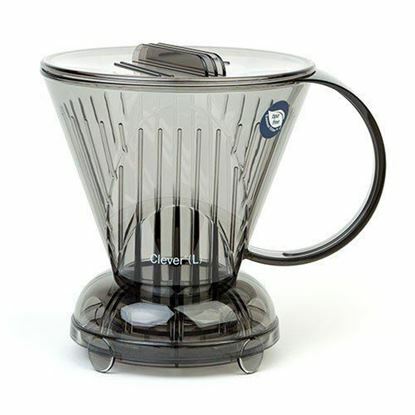 You add your freshly ground coffee, around 20g, to the Clever coffee dripper with filter paper, then add your hot water. Then you just let is sit for 2 minutes 30 seconds then sit the Clever coffee dripper onto your cup. This action opens the valve at the bottom to allow the filtered coffee to fall through to your cup.